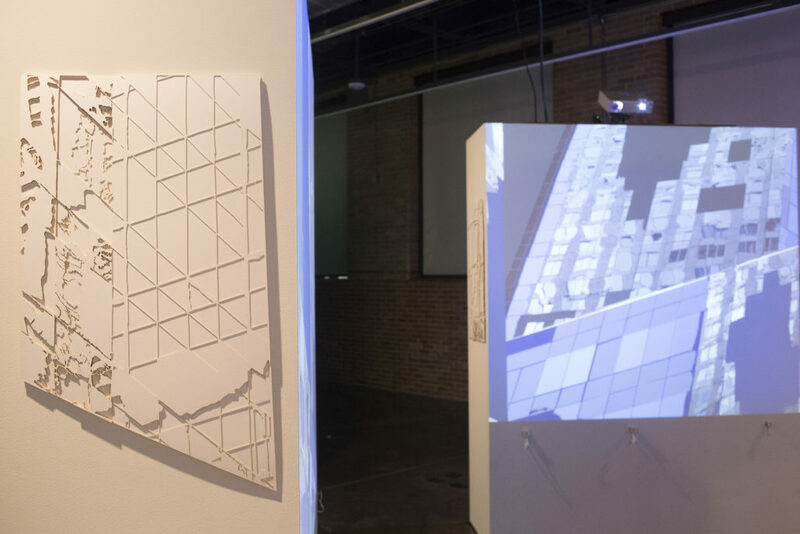 Reflections Within the Transitioning Grid: Merging Structure, Form and Design with Technology, is a multi-media collaborative project that visually and formally examines the relationship between organic forms and geometric structures. 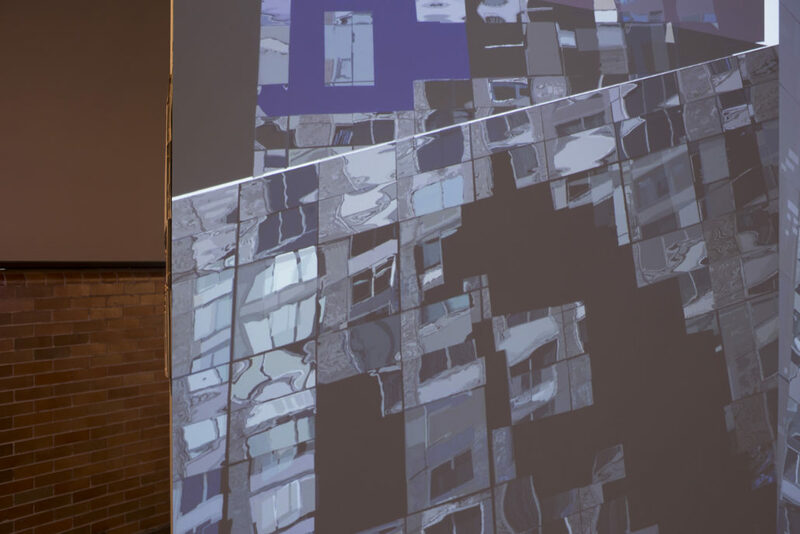 Photographs of contemporary architecture found in New York, London, Shanghai and Tokyo were the source materials for projections, woodcuts, reliefs and laser etchings (incised paper works) that captured abstractions within the contained gridded spaces. 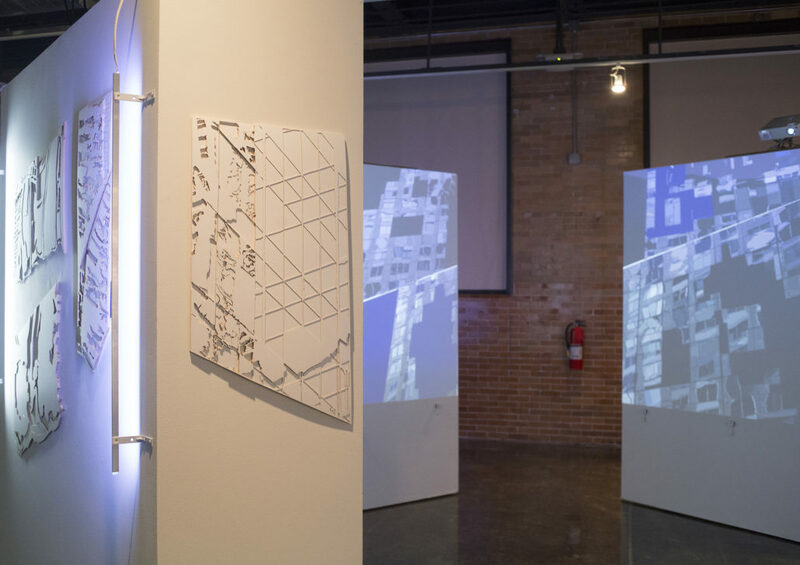 As collaborators, our joint interests in cartography, topography, architecture, archaeology, typography, calligraphy and symbolism were integrated into the pieces by focusing on form, layering, contradiction and the beauty of our chosen subjects. 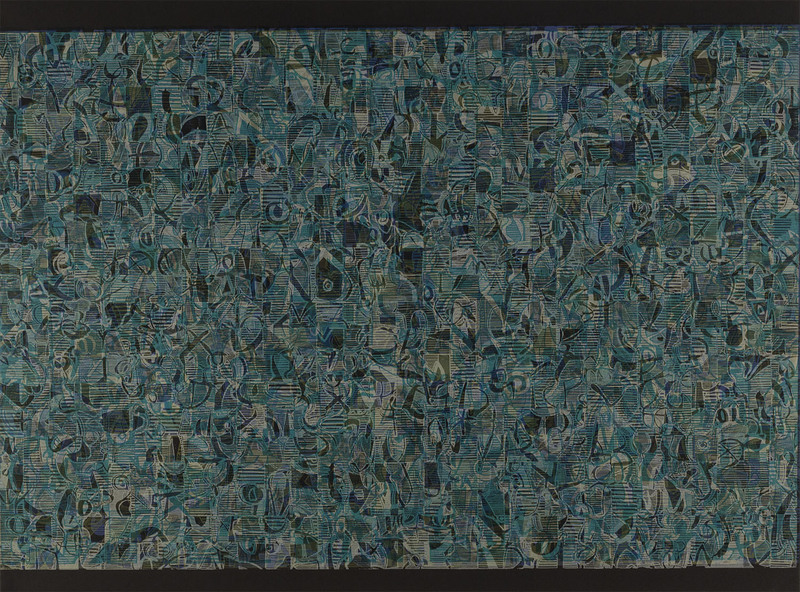 The four bodies of work are united through their subject, their technological development and handmade result. 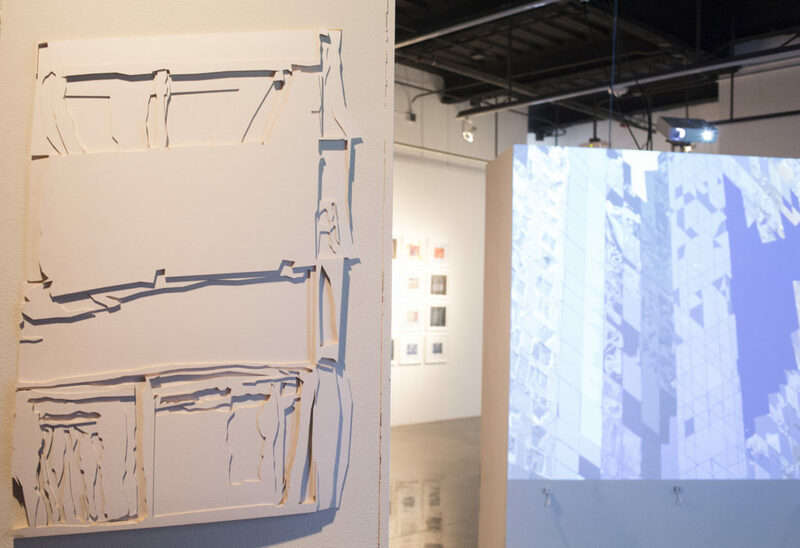 All of the physical works were digitally designed, laser cut and constructed or printed by hand. 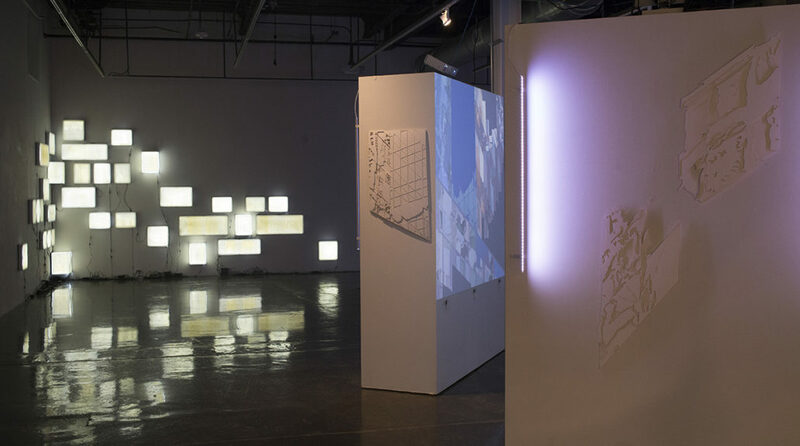 Reflections Within the Transitioning Grid: Merging Structure, Form and Design with Technology: Projections incorporates a sensor-based lighting system that reacts to the presence and movement of the viewer. 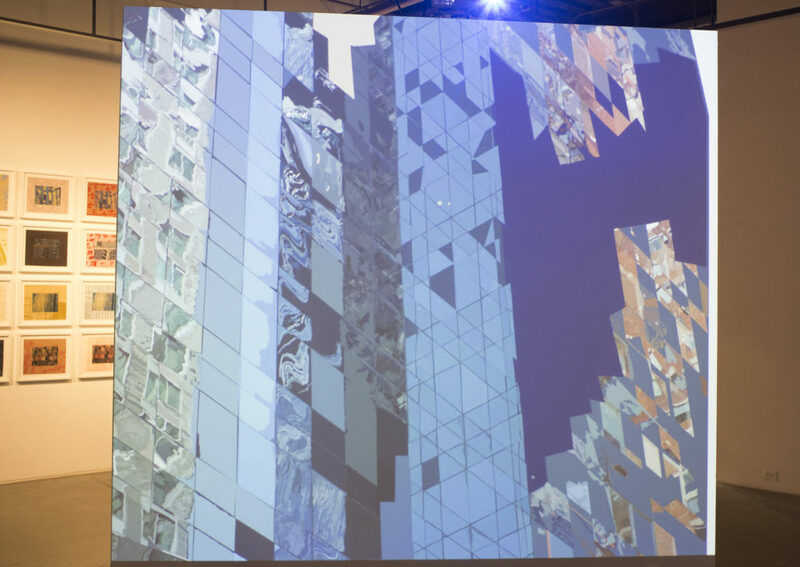 The images found in the projections depict curtain wall architecture in New York taken from a multi-layered digital drawing. 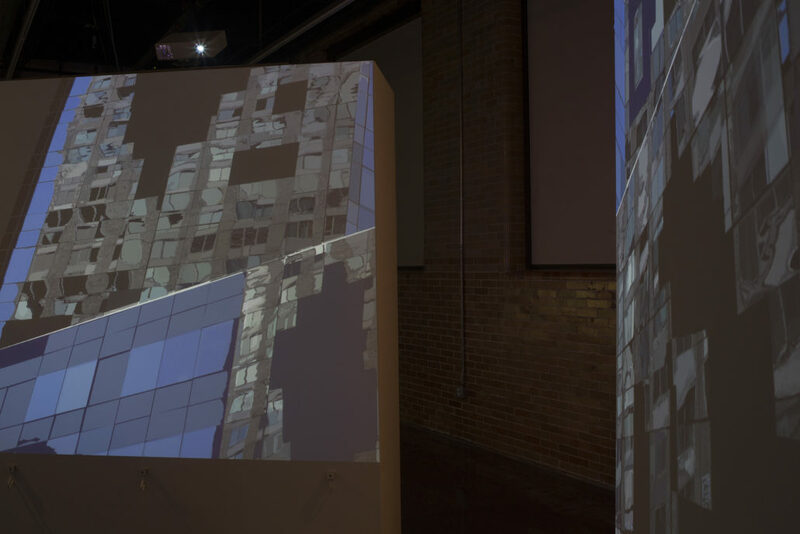 The drawn buildings are projected within a four walled installation; this interior space responds to those occupying it, by tying the layers of the digitally drawn image in each projection to presence-sensors. 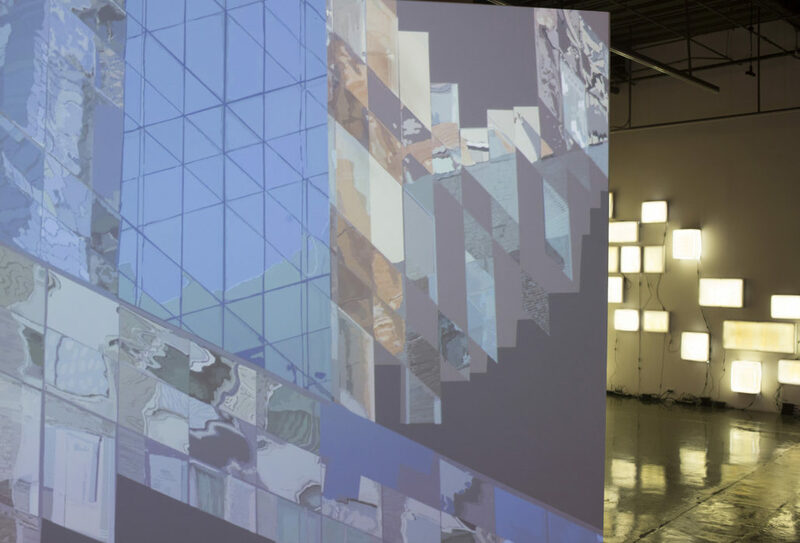 The projections transition through stages of abstraction and narrative imagery in response to audience movement. 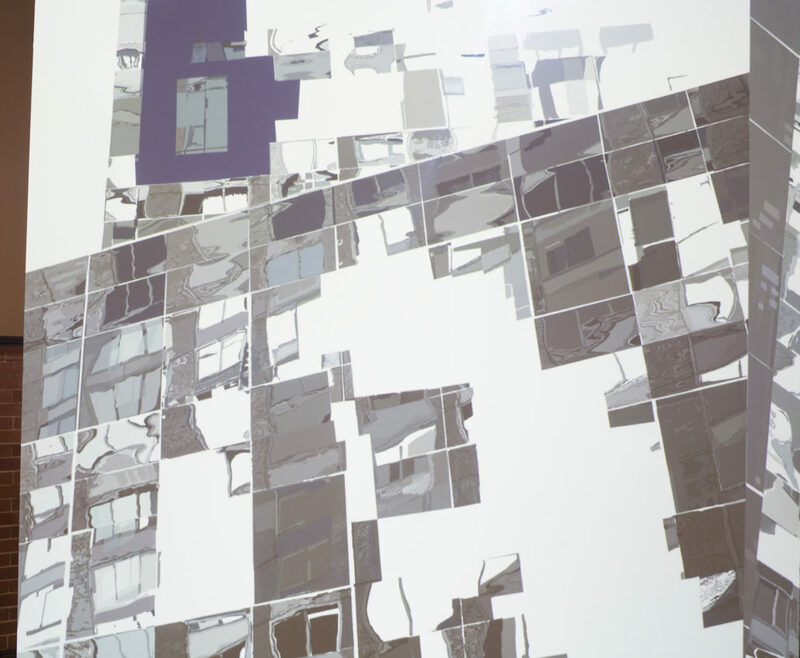 This mimics how a city grid shifts due to population movement, time of day and weather changes. 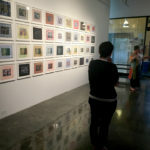 The artists’ choice to highlight the grid and illustrate its changeability, in spite of its rigid structure, are especially relevant, emphasizing how the grid and its environment are continually in flux. 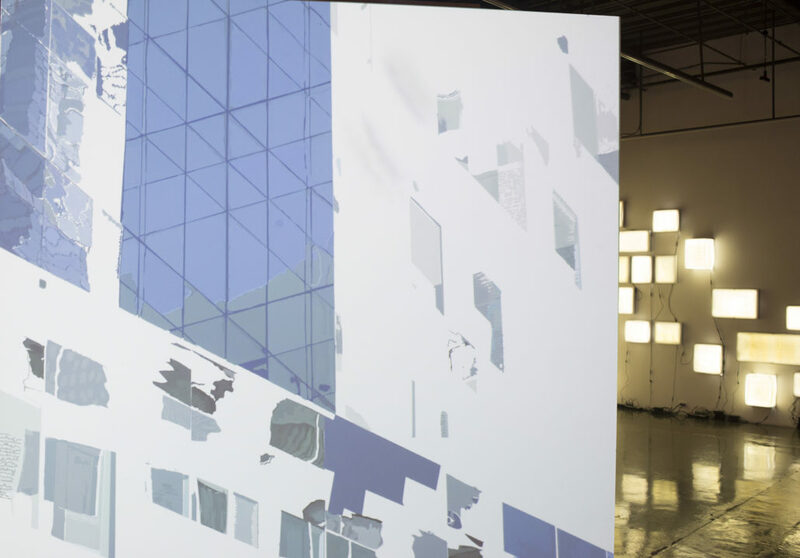 Our digitally fabricated project is organically constructed in appearance. Its responsive and new-media elements are integrated together without centering on technology, so as not to have them appear superficial or gimmicky. Hence, the integration of digital and responsive technologies with traditional methods of working becomes organic and is a novel way to address its incorporation in the world at large.